Let's face it, who doesn't love a wall? Especially when that wall is covered with WCSL Eastern White Cedar Shingles and Shakes, the ultimate environmentally friendly, zero-maintenance siding and roofing products. 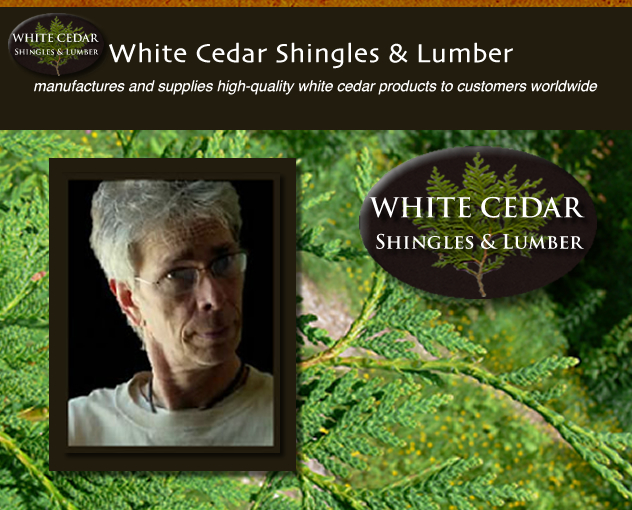 White Cedar Shakes and Shingles provide such beauty, texture, durability and improved insulation value! One of the best attributes of WCSL Eastern White Cedar Shingles, either for replacing the previous siding or installing over the existing siding, is that beautiful walls can be easily accomplished even by an amateur carpenter! There are, of course, different procedures for applying WCSL shingles and shakes on walls than what would be used on roofs. The major difference between roof application and wall application, is due to 'permissible exposures,' a term carpenters use to let us know that on walls a greater exposure of the shingle or shake is allowable than what is recommended for roofs. In other words, a given area of wall will require less shingles than the same area of roof. Think of it like hairs on your head vs. hairs on your arm. The hairs on your head are more dense than those of your arms because they serve very different purposes!